Arctic Cat News This section contains news that relates to both Arctic Cat as well as ArcticChat.com. Front page news will go in this section and so only Administrators or Moderators may start new threads in this section. 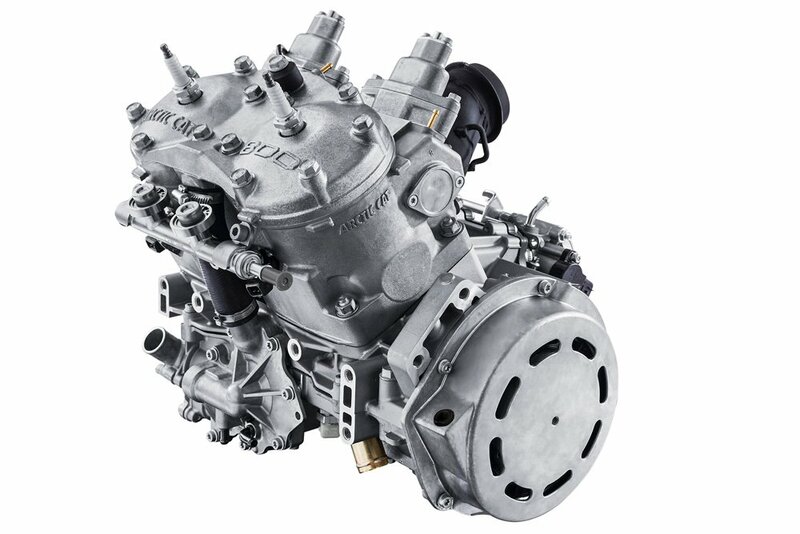 Location: south of "The Hill"
New for 2020, the next generation 8000-Series C-TEC2 engine delivers a new level of clean Arctic Cat 2-stroke engine performance and technology. Sled: 2017 ZR 6000 RS and 2016 ZR 4000 RR. Well that was disappointing! All 2-strokes except the ThunderCat with the 9000. No 850 either...AND if you want a 2020 you have to snow check it by the end of April or you can't get one?!?!? So if you don't want a Riot, AC advice is; go buy a non-current sled. The dealer video word for word says "All gaps will be filled with unused inventory". I see a lot of Cat dealers folding up over this. As far as those of us who hoped for something BIG...There's an old Deana Carter song..."Did I shave my legs for this?" I cant believe theres no hype over a new platform/suspension! Anyone that thought they were going to refresh/update a two year old motor that took six years of r&d is crazy, that would have thrown them in farther debt and caused investors to panic or jump ship entirely. They release the almost revolutionary alpha and another hybrid platform, put out a new motor, updated to aws2 in two years and people are upset they didnt come with a 900 to beat other manufacturers 850's (made because their 800's couldnt hold up to zook 800's). PLUS I-act standard!! Thats awsome too. Dont get me wrong, Id like to see a huge motor (miss the sound of the T-cats 900 triple triple) but I like where their focus is. I dont love the colors but the riot seems to fit everything wanted in a do-it-all sled and cant wait to see reviews and thoughts from more riders. I bet this will be their second best seller next to the whopping 80% of sales alpha....wow! I already want one and hope the 2021 colors are more "cat"
Fast 440 and C-note like this. Sweet, even further refinements for the people that didnt like the mpg. "improved power" they were already close to the 850's HP but this brings that gap even closer(although marginally Im sure). So, how much hp is the new gen 2. Something more has to be going on in TRF that we don't know about. I like all the new improvements, but they literally cut the line up in half! No NA 4 stroke anywhere, touring and utility are back to the twin spar only with no engine options. I understand they have a lot of non current inventory, but to totally abandon so many models just seems strange. Im really curious to see what Yamaha has to offer when they release the 2020s. Dealers didn't get much if any info at all. Hell there is more on the magazine websites than was in the dealer webinar. Except for the ThunderCat, all 7000 and 3000 four strokes cancelled. This to me looks like Yamaha is cutting and running. Kymco was just supplying the ATV motors and it didn't work out. Lets just sell the four stroke with the largest mark-up strategy! I see now they could be slimming things down before Yamaha says "Sayonara". I think one big mistake is cutting the trail sled line up down to basically two sled platforms, (actually really one) is a big mistake. Where is my "LXR" type platform? No nice riding LXR type chassis, for the weekend trail rider like we are (my group) just higher cost "SnoPro" type suspension packages. This makes me think the 2014 to 2017 chassis groups will hold their value long because (now) people like me are going to hang on to them longer, I know now I sure will. And I will also start looking for a non-turbo 7000, while I still can get one with low miles. Another thing, no 129's? Really? Ski-Doo has a 129 line, Polaris has them and even still has a 121, altho I don't know why the 121. Ok to start with nothing here That Arctic Cat now offers will fit in my trailer. Now to be fair on myself I'm selling my short enclosed for an in-line anyway but what about the buyers that have a trailer like mine that isn't selling their trailer? What do they do? Do they go to Ski-Doo or Polaris? Cutting the touring sleds down to one Suzuki Fan-cooled as mentioned is cutting the whole segment out of the market (albeit a small one) I really didn't see how the NA Yamahas were as cost effective as a two stroke (Yamaha found that out) and to keep them at more or less the same price level didn't think was gonna work. The four stroke 3000? Well that went in and out the door faster than my wifes little dog taking a $hit outside on a below zero day! In summary, I sure hope Kroms hunch is correct that something more MUST be coming from Thief River Falls. Cause if there isn't then this cost cutting is what parent companies do right before they spin off a subsidiary they see it as a waste of money. The "one model Yamaha" sled is another eye opener. Why? Because they cost more to make than the profit , or lack thereof, it gets in return. Why just basically hi-performance sleds in ProCross line? Why? With all the hype and great handling when introduced, and still better than the competition in my opinion, do we slim this down to basically two models? Why Why Why??? Why cancel out just about all the touring sleds and have as a sole "place-holder"a Twin Spar designed back in 2007 with a Fan-cooled Suzuki? Why are there no prices in the website? All three competitors still have theirs. I hope not, I really really hope not that there are little if any steam clouds coming out of the stack pipes in the main plant in TRF. But something is up, and it sure ain't the temperature. Owning a Thundercat is like having a totally hot wife..... All of your friends want to see it, feel it and check it out..... They all want to know what it is like to ride it, but if they only knew how much time and money it takes to keep one up, they would call you a fool! "Of all the 850 vs Sidewinders/Thundercat/ZR 9000's; you are the first I have ever heard that beat one. I know the 850 is strong but it's down 30 hp from the turbo sleds. I have a low slung fully built( by a well know engine builder) 3 cylinder 800 cc that made multiple dyno pulls over 200 hp on a calibrated Land and Sea dyno and I barely pull my buddy on his stock Thundercat. And I do have video." "That supposed to be like that?" "What the hell was that?" "Did you just pee in your spacesuit"